Dried out markers are the worst. They take up space, and for some reason, even though they're totally useless, most of us have at least a few lying around just for the sake of not throwing them out. 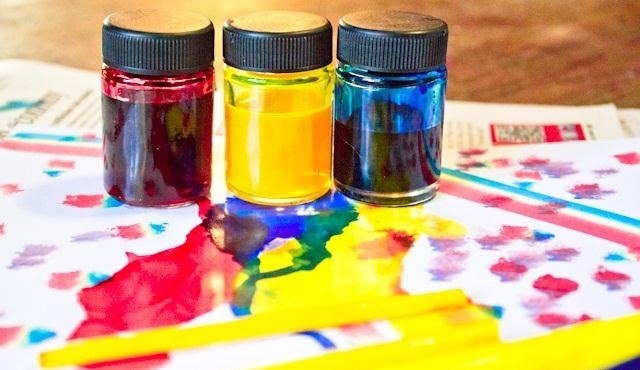 Luckily, Julie Finn over at Crafting a Green World has come up with a way to repurpose them into alcohol ink, a versatile type of ink that can be used on non-porous materials like plastic, glass, and metal. This is truly a tutorial for the pack rat in all of us. Make custom homemade ornaments to add some personal flair to your holiday decorating. 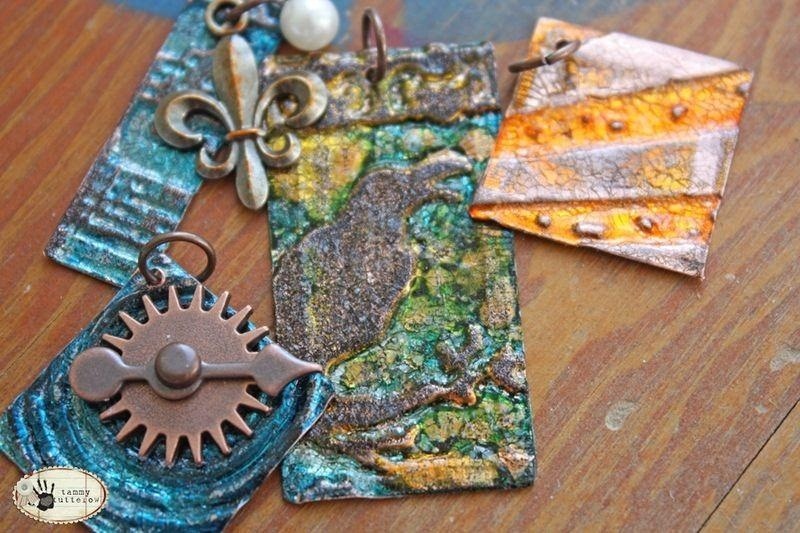 If you make your own jewelry, some alcohol ink can help you create a unique look. 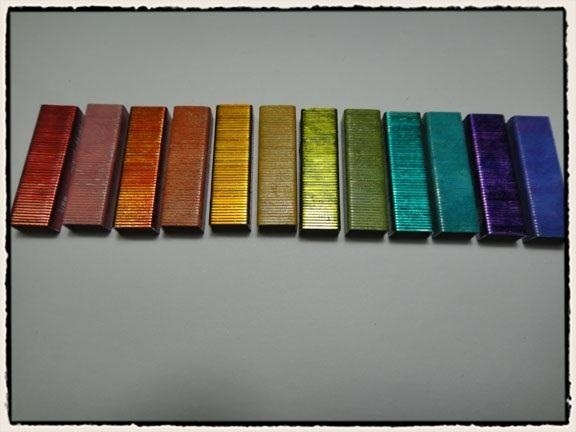 Make paperwork less boring with custom colored staples! Love animal prints? You can create leopard, giraffe, zebra, and tiger prints with alcohol ink as well. The list is endless since it works on so many surfaces, so you can get pretty creative with this stuff. Now, let's get down to actually making it. 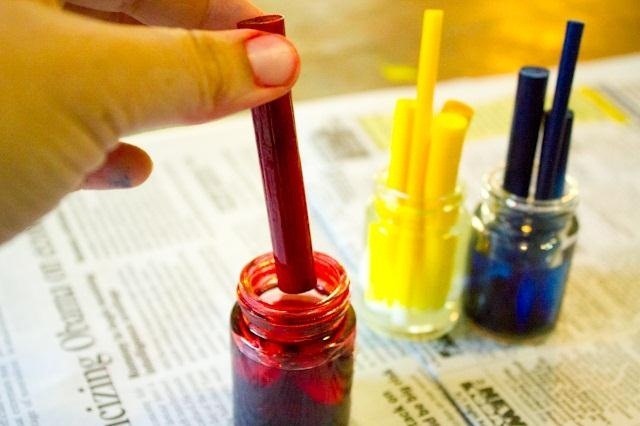 All you'll need for this project are some old markers, rubbing alcohol, and a few small containers. The trickiest part is removing the ink reservoir, which Julie has also created a tutorial for. Once you've done that, fill your containers about 3/4 full with rubbing alcohol. Now, just add the ink reservoirs and let them sit for a few hours (Julie recommends overnight for best results). For more details, check out her tutorial and, as usual, be sure to let us know what you create with your DIY alcohol ink! absolutely. it's best to use denatured alcohol, it seems to work quite a bit better than rubbing alcohol. you just pull out the nib on the marker, put anywhere from 5 to 10 drops into the barrel, depending of the size of the marker, and replace the nib. then i shake it up a little and just lay it on the table overnight, not upright. most of them you can use almost immediately, some need to "soak" for awhile. i've had great success with this and i think there's a youtube video of someone doing this. good luck. Hi Cricket Cullen... There is a video on Youtube by Baylee Jae that when she did an art supply haul, two of her markers came in dry. She added the Colorless Blender for Copic Markers to give the marker life again. What a great idea. I also cringe when I recycle those expensive printer ink cartridges, especially the higher quality ink cartridges, because I can see LOTS of ink still in the cartridge. Now I'll make sure to rinse all that extra ink out and save it before I recycle the cartridge. I'll have lots of ink to make into alcohol ink and can mix my own colors too!